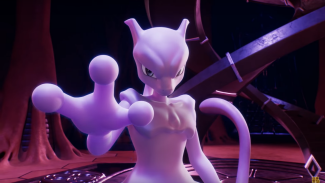 The numerous teasers and trailers that come out for Mewtwo Strikes Back Evolution, a Japanese film produced in Japanese for a Japanese audience are, not surprisingly, all in Japanese. This page collects those advertisements and translates them into English so that fans all over the world can feel just as much hype for the film as their counterparts in Japan. The first teaser premiered after the end credits of the previous year's film, Pocket Monsters The Movie "Everyone's Story." Mewtwo: "Where am I? Who am I?" 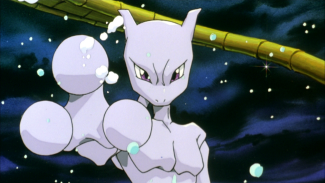 Onscreen text: "2019: The Year of Mewtwo is Starting! Narrator: "Mewtwo Strikes Back Evolution." This original version has not been officially uploaded but can be found as an extra on the Blu-ray / DVD releases of Pocket Monsters The Movie "Everyone's Story." The second teaser, which is referred to as "The Year of Mewtwo Special Teaser" (ミュウツーイヤー特別映像) on the official website, debuted on the Japanese TV station TBS (and not TV-Tokyo, oddly enough) before eventually being posted online. The first full trailer for the film debuted on the Japanese morning show Oha Suta on February 28th, 2019 before eventually being posted online later that day. For a full breakdown / comparison of this trailer, check my full break down!